As we usher in the new year, we’re also getting ready to welcome a wealth of new interior design trends with it. With the world of design and style in a constant state of evolution, there are many schools of thought out there about what the biggest interior design trends will be in 2018, so to make it a little easier to stay on the pulse of what’s hot and what’s not, we’ve pulled together what everyone’s predicting what will be most in-demand over the next 12 months. World-renowned design empire Vogue, believe that ‘industrial chic’ is officially dead and buried, while ‘mid-century modern’ will be the next style to go in 2018. They’re also predicting that black and white is on the way out, with dark blue and milky white set to take its place. In contrast, global design authority Interior Design magazine, are tipping terracotta to be the colour on show in 2018. They’re also of the opinion that ‘minimalisim’ will move aside in preference of ‘maximalism’ (which showcases extravagant interiors crammed with contrasting prints and patterns), and that we’ll see a growing love for ‘comfort spaces’ (spaces which focus more on experience than aesthetics). 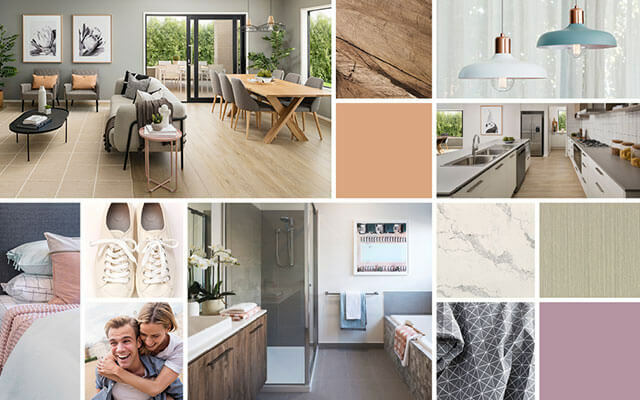 For a more local perspective, Australian homes magazine Real Living attended the Décor + Design show in Melbourne, where trend forecasters predicted that our love for copper will be replaced by a love for silver metallics, and that our obsession with millennial pink may start dry up. Forecasters also predicted that ‘earthen luxury’ featuring organic materials and traditional handcrafts is set to grow in popularity, as is our appreciation for earthy tones and dark woods. Then when it comes to colour, the Pantone Colour Institute unveiled ‘Ultra Violet’ as their chosen colour of the year for 2018, pitting it as the colour most likely to show up in everything from interiors, to fashion and corporate branding. What everyday people are searching for online is also a good predictor of what’s likely to flourish in 2018, and Pinterest is fast becoming the go-to when searching for interior design inspiration. In fact, Pinterest is now so popular it ranked in the top 50 most-visited websites in Australia in 2017! 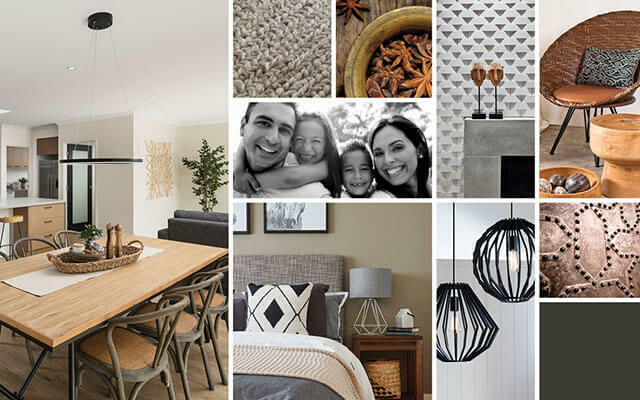 When they recently released their 100 trend predictions for 2018 which was developed based on notable increses in what their users are ‘pinning’, resort-inspired spa bathrooms, metallics, terrazo, statement ceilings, bone inlaid tiles, herringbone patterns, statement doors, patterned plants, oversized wall art and sage were revealed as the top 10 home trends everyone’s loving. 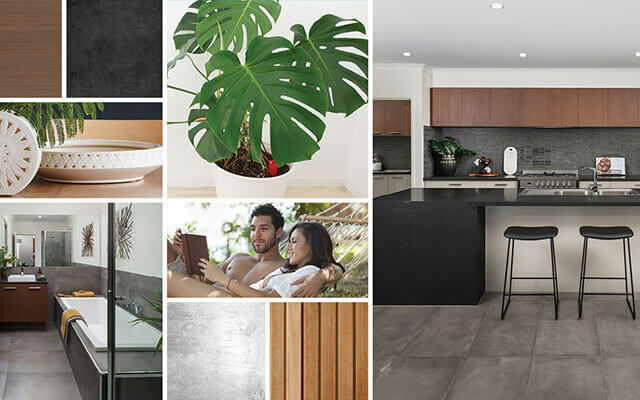 While we all love sporting the latest trends in interior design in our homes, trends will continue to come and go, and the reality is that very few of us can afford to update our homes every time ‘style of the moment’ changes. Instead of getting carried away purchasing all the latest and greatest styles, try to focus on building a collection of timeless pieces that speak to your personal sense of style, that you know you’ll love no matter what the style trend of the moment is. Then you can easily inject a bit of on-trend style by incorporating smaller decorative pieces that can be easily updated as trends continue to evolve. Your wallet will thank you in the long-term! The key to manintaining a a beautiful and stylish home, regardless of what the top trends of the moment are, starts with having a great foundation. 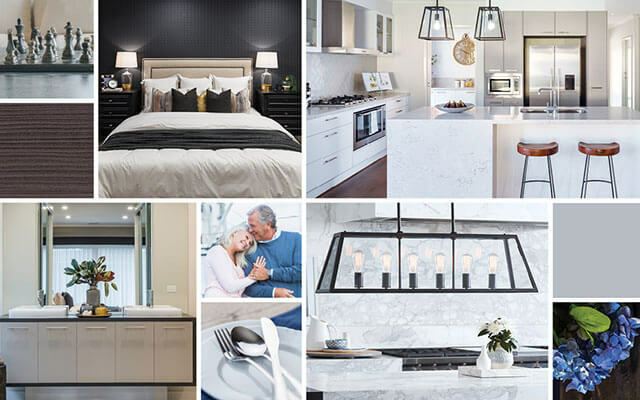 At Dennis Family Homes, our range of carefully curated home designs adopt a contemporary palette of colours, materials and finishes that never go out of style, providing an ideal foundation to compliment your ever-evolving interior design inclinations.